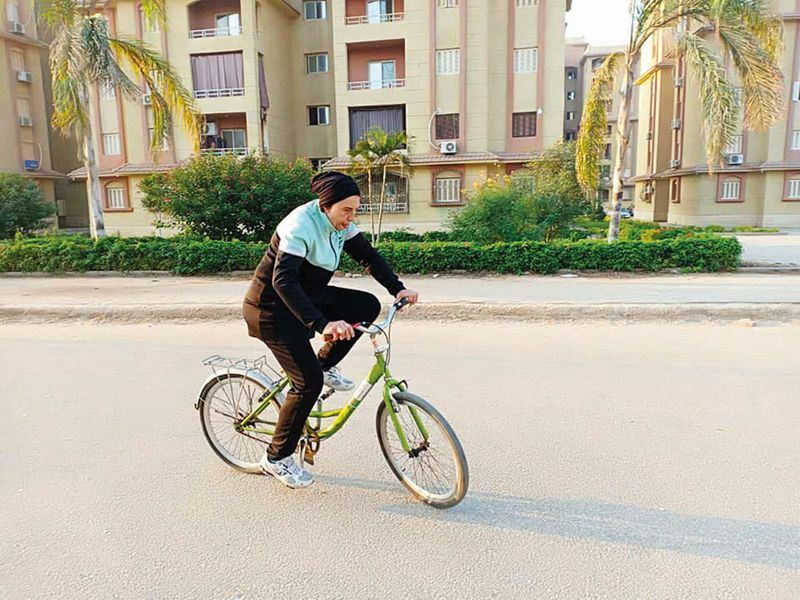 Cairo: More than five months after launching an initiative aimed at promoting the cycling culture among women in largely conservative Egypt, Sara Jamal sounds satisfied and upbeat. “The feedback has been fantastic,” the 28-year-old woman said. “Instead of disapproving comments, we are hearing cheers of encouragement when we hit the streets,” she told Gulf News. “Since the start of the project in July, we have trained 600 girls and women aged from three up to 57,” added Sara, the founder of the “She can Ride” initiative. The project is now covering Cairo and Alexandria, Egypt’s second biggest city. Cairo, one of the world’s most populous cities, is inhabited by an estimated 20 million people. The mega-city is blighted by high pollution levels mainly blamed on frequent traffic congestion. “Our aim is to change society’s perception that riding bicycles is unfeminine and that training in biking is inappropriate for old women,” Sara said. Women often complain of sexual harassment or groping on overcrowded transportation. Females account for 48.8 per cent of Egypt’s population of nearly 100 million, according to a recent demographic census. In recent years, the country has unleashed a series of initiatives to empower women. 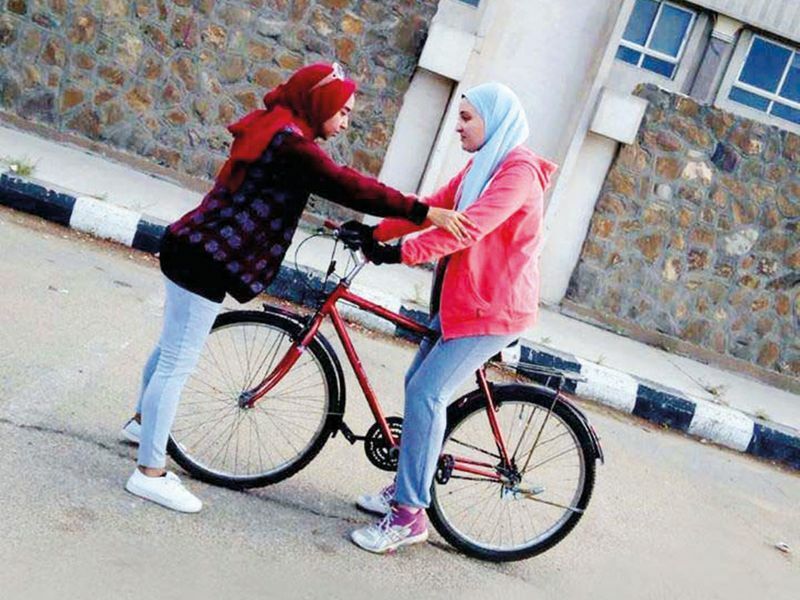 “My aim is to teach Egypt’s girls how to ride the bicycle so that cycling replaces cars and buses in getting to the workplace and the university,” Sara, a business administration graduate, said. Two weeks into the project, she co-partnered with her friend Eman Sulaiman. “Some mothers asked us to train their children too. So, we started taking in children at the age of three and above. We are the only ones doing this in the field,” added Sara. Up to 90 per cent of trainees master cycling from the first session, she said. Trainees are charged nominal fees as the project, according to Sara, is a non-profit enterprise. With a five-member crew at present, they also hold classes in repairing bikes so that the female users will be able to handle any breakdown. “I dream that our project will cover the whole of Egypt and that cycling will become a lifestyle that will replace car riding,” she said. 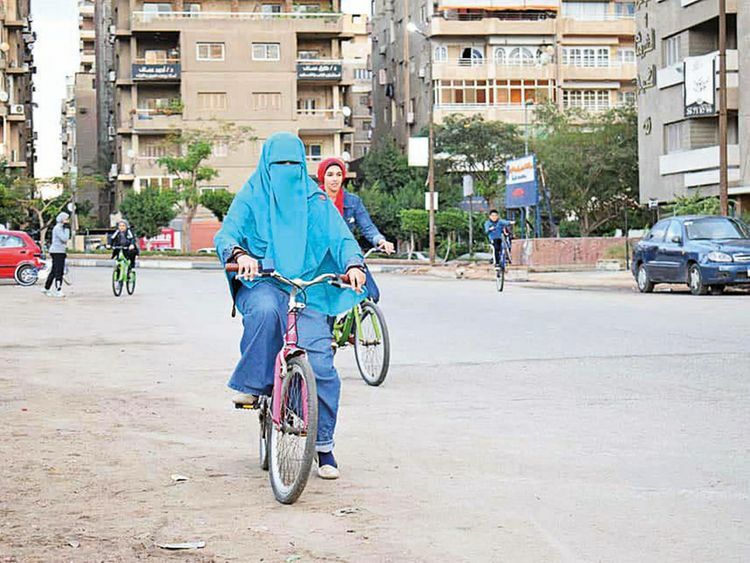 Cycling is increasingly proving an attraction to Egyptians, including young women. “I have been fond of riding the bike since I was 16,” said Nashwa Sultan, a university student. “At the time, my father gave me a bike as a birthday gift. I use it in doing most of my errands and ride it to my university in Al Tagamuh,” Nashwa said, referring to a Cairo suburb. “I am also keen to take part in weekly cycling races. Cycling makes me feel free, healthy and energetic. It is superb exercising,” she added. “Even when the streets are choked with cars, the bike helps me beat the congestion,” the 21-year-old woman said. While at first people would shout negative comments to her while she was riding, it has taken a while for society to get used to it. She now rarely hears any comments at all. There are around 12 million vehicles, including 7 million private cars, running on Egypt’s roads, according to traffic figures released earlier this year. Since he took office in 2014, President Abdul Fattah Al Sissi has been seen on several occasions participating in street cycling rallies. He has also encouraged Egyptians to adapt healthier lifestyles to tackle the rising obesity problem, including more exercise and healthier diets.